Rafael Nadal is satisfied with his first match back after undergoing ankle surgery last month but admits he will have to pull out of his third-place play-off in Abu Dhabi to avoid pushing his body too much too soon. With the goal of being fit for the Australian Open in mind, Nadal will take the next two days off after losing a tight three-setter 6-4, 3-6, 6-4 to Kevin Anderson at the Mubadala World Tennis Championship in the UAE capital on Friday. The Spaniard, who hadn’t played a match since retiring from his US Open semi-final against Juan Martin del Potro in September due to a knee injury, was happy with how he was able to play a competitive clash against the sixth-ranked Anderson, but concedes that he spent more time on court than initially anticipated and it’s too early for him to play back-to-back matches against top players. Nadal only got back to training two weeks ago in preparation for the new season and is now scheduled to kick off his 2019 in Brisbane next week. “When you are out since long time ago, I had the surgery a little over a month ago, it’s normal that I have some pains. Being honest, I’m satisfied the way I was playing tennis. I am more or less satisfied with how the body held,” Nadal said after his loss to Anderson. “Tough match, three-set match, I didn’t play sets before here. And at the same time, I have normal pains after a long time without playing, so probably tomorrow I will not play. “I will take a couple of days off. The season just started for me, it was a goal to be here, I tried hard to be here after surgery not too long ago, I was not sure if I will have the chance to start the season, and I did. “Last year I missed this event, last moment, I didn’t want to miss it again. But, at some point I need to take a decision and I spent more time on court than what I thought. It’s not the moment for me to make a step back, it’s the moment to make a step forward, the match of today is a step forward for me, that’s the main thing. 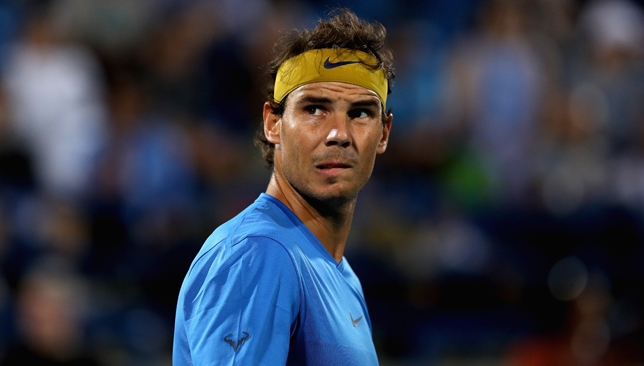 In the match against Anderson, Nadal showcased an aggressive game on the fast courts of Abu Dhabi, which meant he hit a few uncharacteristic errors in the decider. He also sported a new service motion which Anderson spotted early on in the match. Earlier in the day, Chung Hyeon defeated Dominic Thiem in the fifth-place play-off. Serena Williams joked that she has been training all offseason just to be ready for her mixed doubles showdown against Roger Federer at the Hopman Cup in Perth next week as the American returns to Western Australia for the first time since 2016. Williams, who lost an exhibition match to her sister Venus at the Mubadala World Tennis Championship in Abu Dhabi on Thursday, is teaming with her compatriot Frances Tiafoe to represent USA in the mixed team competition. 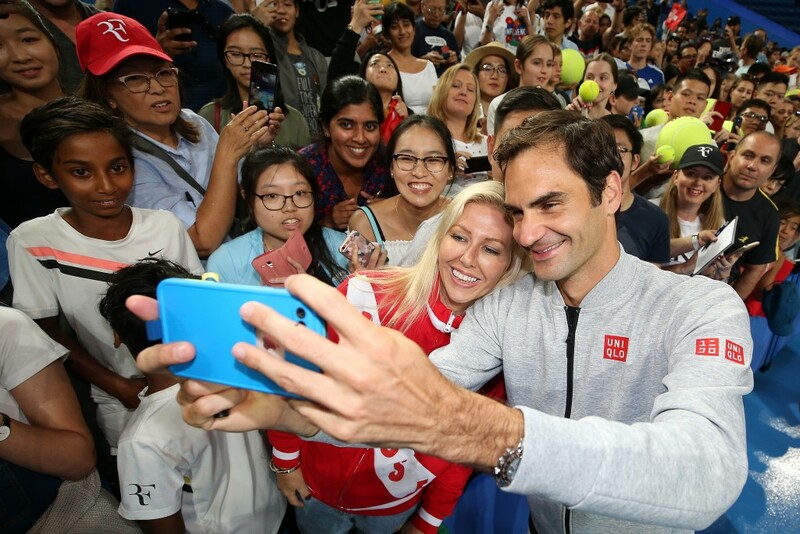 The highly-anticipated clash between USA and Switzerland that will pit Williams and Federer against one another will take place on New Year’s Day. “I’m excited to go to Perth, it’s been a while since I’ve been there. I’m excited to be able to get back. You know I’ve been training offseason to be ready for Roger, so not sure how I’m going to do but we’ll see,” said Williams with a laugh. Federer and his team-mate Belinda Bencic won last January’s Hopman Cup and will be back in Perth to try and defend their title. Federer admits squaring off against Williams is a once-in-a-lifetime kind of match. “We’ll probably play it down a little bit and say it’s not that big of a deal for us, it’s just another tennis match, but it really isn’t because it’s probably going to happen once and never again,” he said. 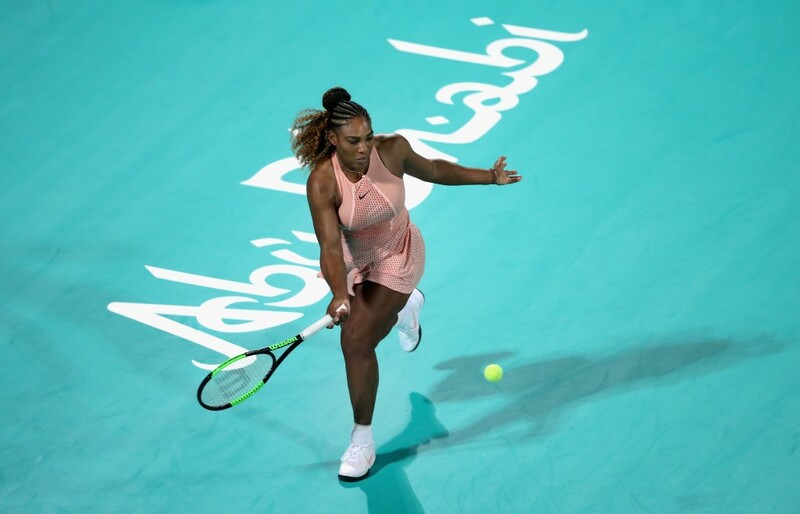 December 27, 2018 is a date that will never be forgotten in Abu Dhabi’s sporting history as a sell-out crowd at Zayed Sports City got to witness tennis’ greatest sister act: Venus v Serena. 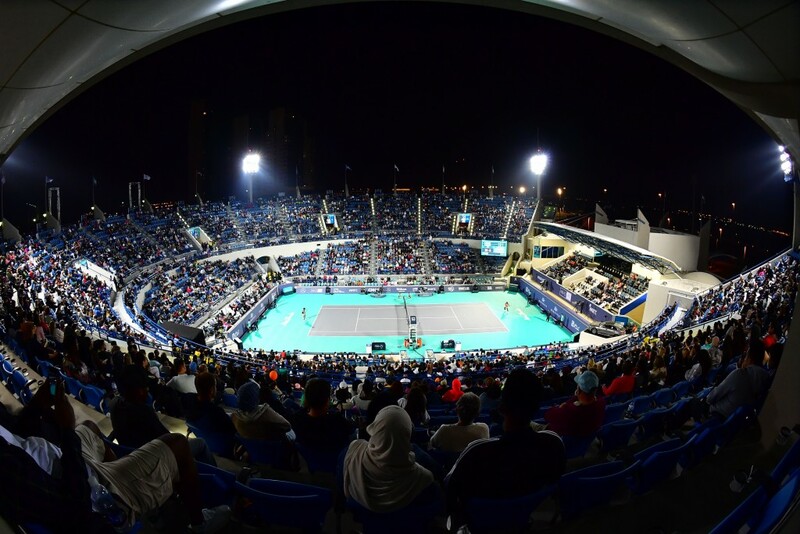 The Williams sisters faced off at the Mubadala World Tennis Championship on Thursday night and put on a high-quality, entertaining show for the 5,000 spectators in attendance. It’s just the second year that women have been included in the MWTC lineup and what better way to introduce Abu Dhabi to the women’s game than to invite the legendary Williams duo? In a clever move from the organisers, kids were allowed to enter the stadium for free on Thursday, and the venue was indeed buzzing several hours before the highly-anticipated showdown. People were screaming ‘I love you Venus’ and ‘I love you Serena’ throughout the whole match, some asking for their shoes, others admiring Serena’s 15-month-old daughter Olympia, who quietly sat on her father Alexis’ lap the entire time, applauding every single point, whether it was won by her mother or auntie. After a long rally that went Venus’ way, Serena was at the baseline near Olympia and spotted her daughter clapping. She immediately cracked up and told Venus on the other side: “She’s clapping for you”. Serena later said in her press conference that moment was the highlight of the match for her. “That’s a classy baby you know, she applauds both mommy and my opponent who happened to be her auntie. That was the highlight, seeing her clap, it was so cute,” gushed Serena. It was Venus who edged past her sister in a third-set match tiebreak and the seven-time Grand Slam champion is hoping the MWTC would soon introduce a tournament for the women, instead of it just being a stand-alone exhibition match. “It was a lot of fun. They told us before it was a sold out crowd so then you’re like ‘okay I want to play well for these people’ and it’s your first match back and you never quite know how that’s going to go. So we both went out there and tested our games and it was pretty close ‘til the end,” said Venus.